Quick overview First book in the "Don Juan" series. The author meets Don Juan and is introduced to his magical world and philosophy by means of hallucinogenic plants and special exercises. 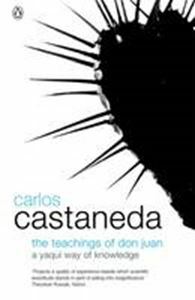 This is Castaneda's first book in the "Don Juan" series. He meets Don Juan and is introduced to his magical world and philosophy by means of hallucinogenic plants and special exercises. The author's other books include "The Fire Within" and "The Quest for Ixtlan".